F1 tickets at the Circuit du Catalunya are almost exclusively sold as Friday to Sunday tickets. If you can only attend a single day your options are limited. Just three grandstands (B,E,N) and general admission (known as Pelouse) offer the possibility to purchase tickets for Sunday only. 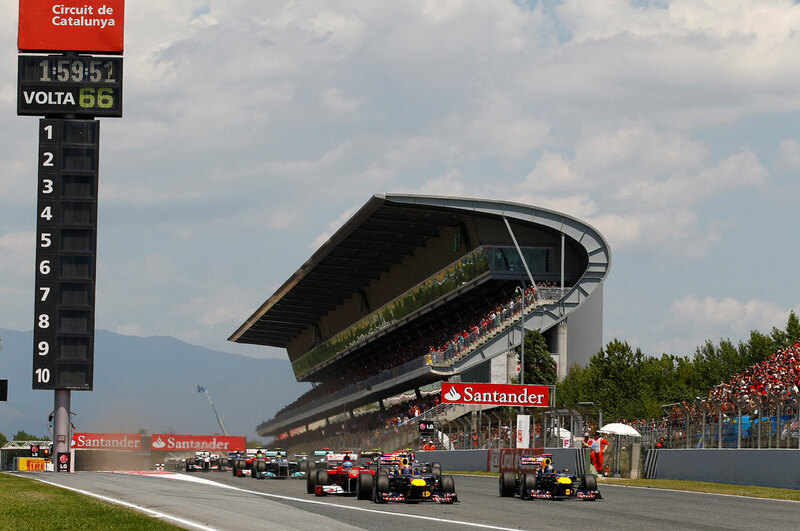 The Spanish Grand Prix generally offers good value for money, especially for families. All tickets can be purchased at a discounted rate for children or is free for those under 6. Where to buy Spanish Grand Prix Tickets? Yes. All grandstand tickets include a reserved seat number. Grandstands B, N and E tickets can be purchased as single days for Friday, Saturday and Sunday. General admission (Pelouse) tickets can be bought for just Sunday. All other tickets are for all 3 days. Yes, the majority of tickets are sold for Friday to Sunday inclusive. Is there a free to roam day at the Spanish Grand Prix? Yes. Friday gives fans the opportunity to sample other grandstands with free access to all grandstands for anyone with a valid grandstand or general admission ticket for the day (excludes grandstands N and E). Are there discounted tickets for children and/or seniors? Yes. All grandstands have tickets for children aged 6 to 15 and seniors over 65. For kids under 6 access to grandstands is free so long as no seat is required. General admission for children with an adult ticket holder is free, and no ticket is required. Will there be a free pitwalk at the Circuit de Catelunya?